A year and a half ago, I discovered the Yurbuds earbuds at the Walt Disney World Marathon Weekend Run Expo. When I first purchased them, I quickly fell in love with them. They sounded good, felt comfortable, and stayed firmly in my ears. Unfortunately, the earphone design was less than stellar and I had to return them twice because the sound went out. The second time, I received their new design. 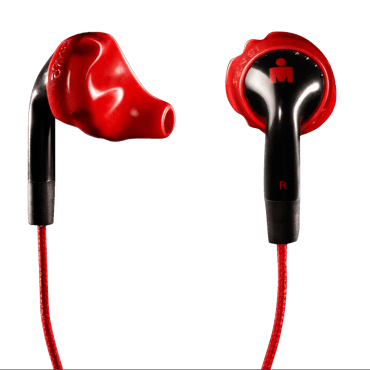 The Yurbuds Ironman earphones have been redesigned for the better. The old cords were rubber and would stick to itself, easily tangling when I wasn’t wearing them. The cords now have a fabric covering, and after a couple weeks, I have yet to tangle them once. When I ball up the headphones and toss them aside, they easily come undone the next time I am ready to go running. Both pairs of my previous Yurbuds needed to be replaced because the sound went out in one ear. This was caused by damage to where the cord meets the plug. The old cord was recessed in directly in plastic. 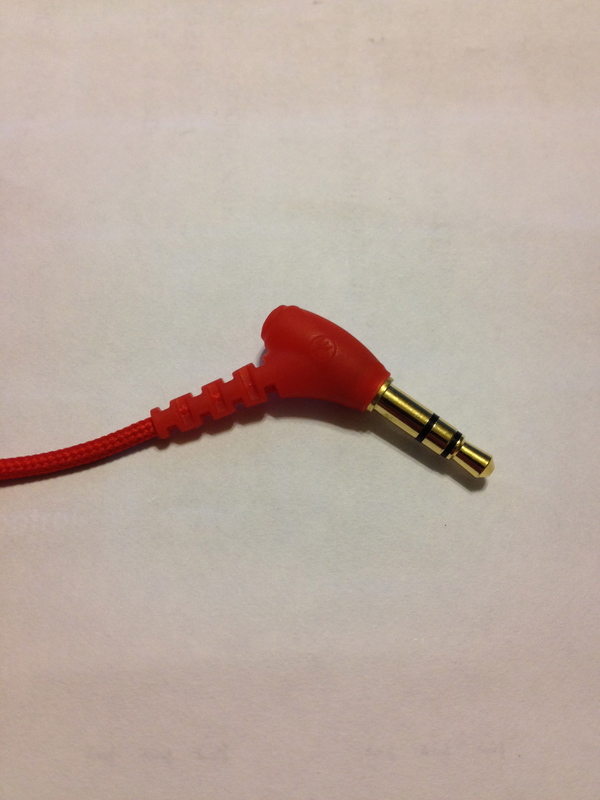 The new cord goes into a flexible rubber connector that then angles into a thicker plastic piece that leads to the jack. This puts less pressure on the plug when pulling it in and out of the iPod, which will hopefully fix the problem I had with the previous earbuds. The best part of the Yurbuds is the soft rubber pieces that fit in the ear. These appear to be unchanged, and I don’t think they needed to be. They are still comfortable, fit snugly in the ear and let you hear outside noises, so you are aware of the traffic around you. I like them so much, I use the extra pair it comes with on my my Apple earbuds (which I find horribly uncomfortable) and make those just as snug and comfortable. The Yurbuds are still my favorite in-ear headphones for running. I find myself often recommending them, and the improvements they have made just make me want to recommend them more. I have been using them during my training and my races, and my books continue to sound great without any technical interferences with my running.